A visit to Rostov the Great (founded in 862) is a perfect chance to see one of the main cities of the Golden Ring in an easy day trip. 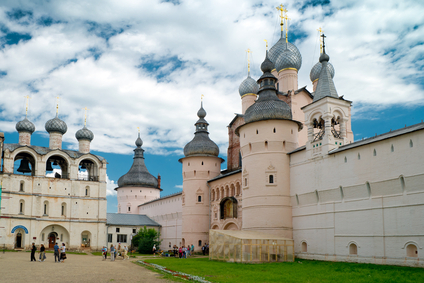 The tour of the Rostov's Kremlin (XVII century). This ensemble is the peak of the XVII century Russian architecture. 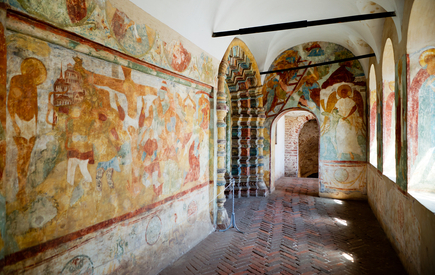 Fairy-tale like walls and colourful churches with unique acoustics and the iconostasis painted on the wall. We will also visit the observation platform. There you can take beatuful pictures of a lake and numerous domes. 2 hours. The Spaso-Yakovlevsky Monastery (XVIII-XIX centuris). 1 hour. Walk along the Nero lake and city's ramparts. 30 minutes. Lunch and transportation. 1 hour. Tour cost: English - 330 USD. It includes guide's services, local guide's services, transportation in Rostov. Additional expenses: Train ticket (about 30 USD for a return trip per person + the tickets for the guide), museum entrance fees (about 15 USD per person). The tour you would like to take * - Select -Boris Pasternak's museum houseRostov the Great tourSergiev Posad tourSuzdal and Vladimir tourTour of Zvenigorod - "ringing city"